This may come as a surprise but I was bullied a lot as a kid. When we were changing for gym class, everyone used to call me “firehose.” It still hurts. Secret is doing an anti-bullying program to make sure that nobody ever feels my pain, but it may be helping out in an unintended way. 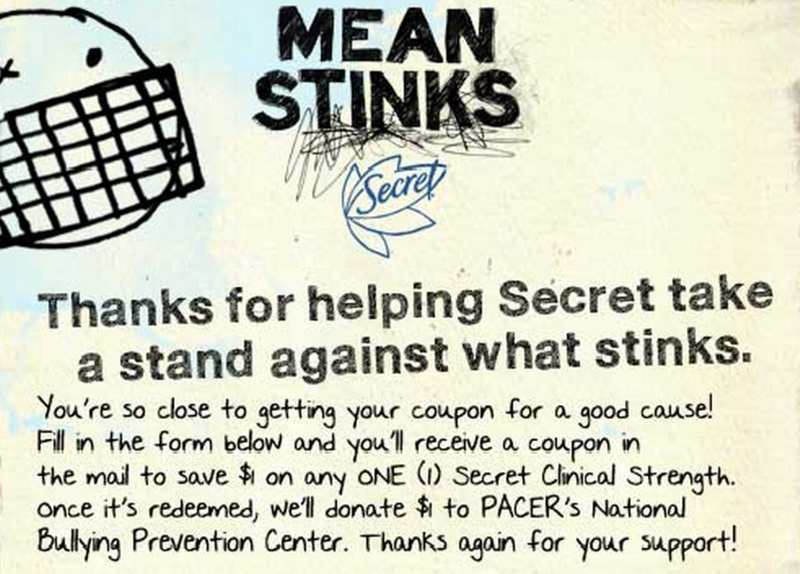 By encouraging girls to buy its product for the anti-bullying cause, it’s keeping them from being stanky and there’s no easier target to pick on at school than the smelly kids. Good work, Secret! Keep it up.